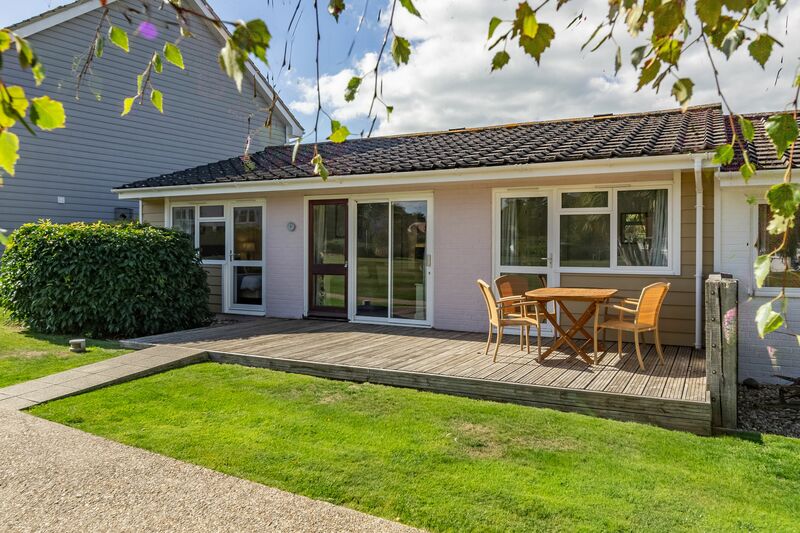 This one-storey, three-bedroom holiday home has all you need to enjoy a great break away from it all. 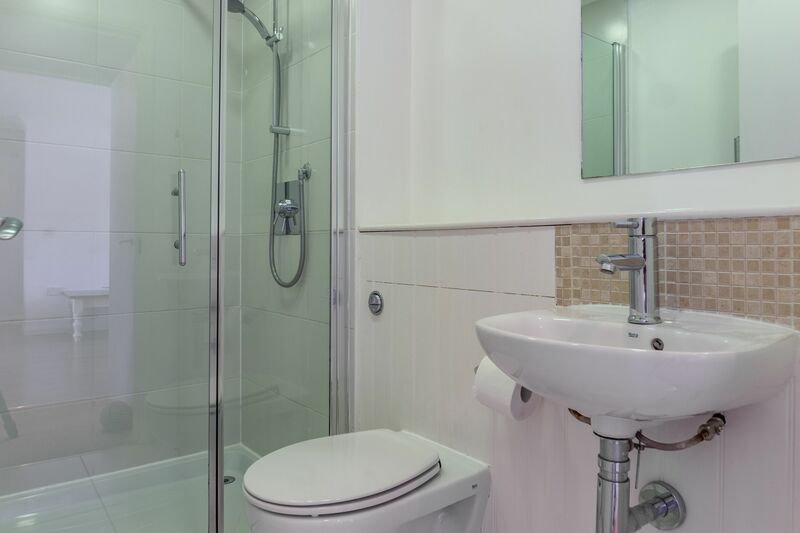 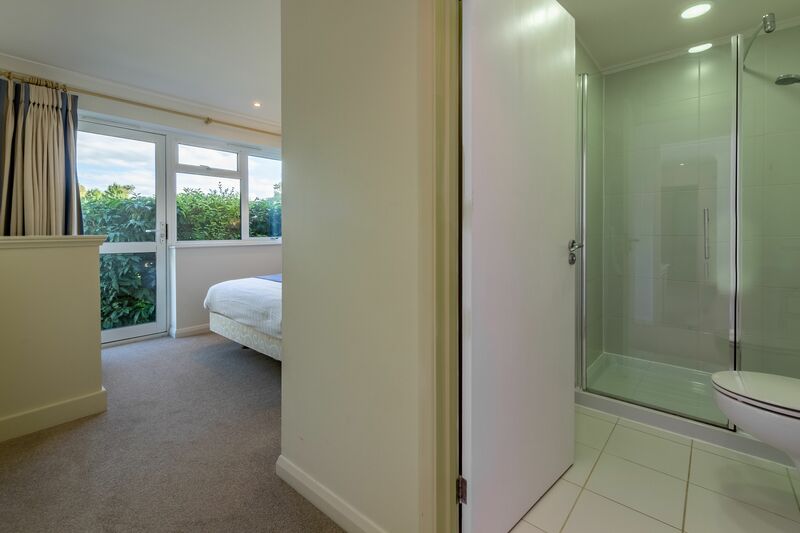 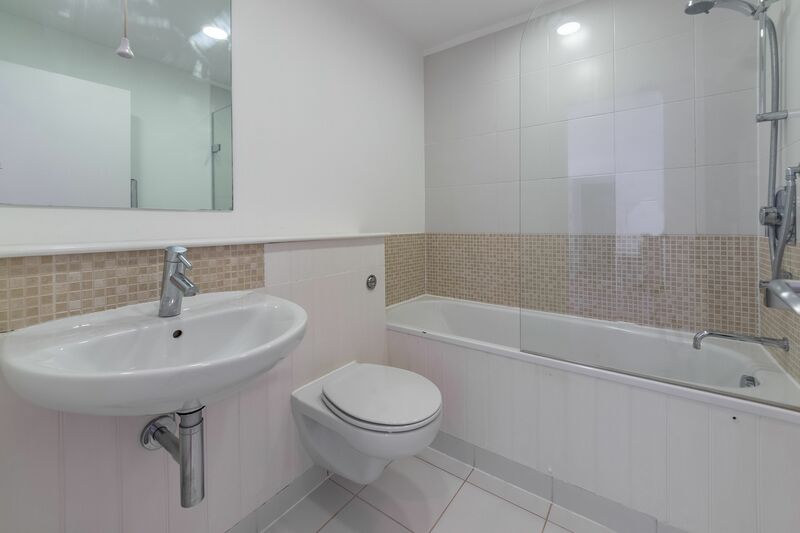 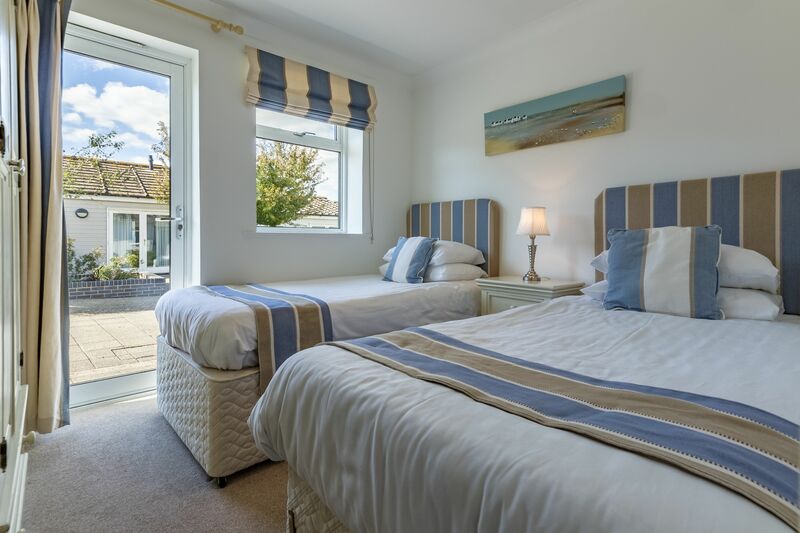 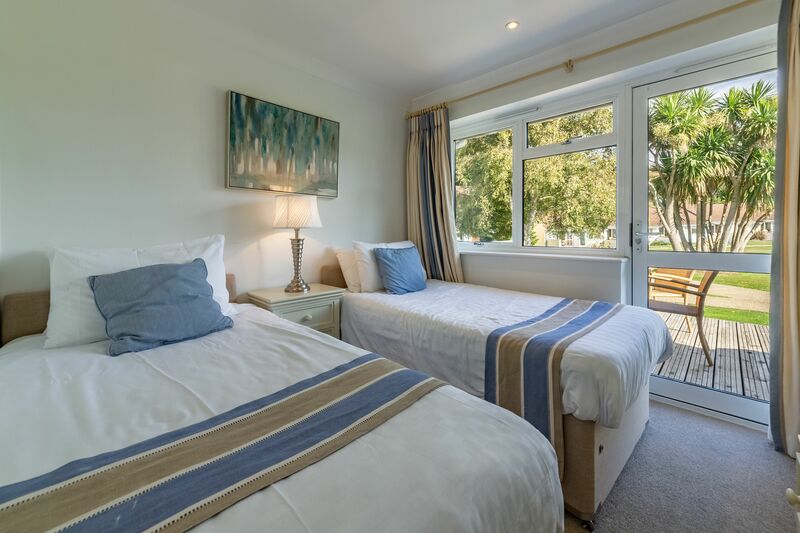 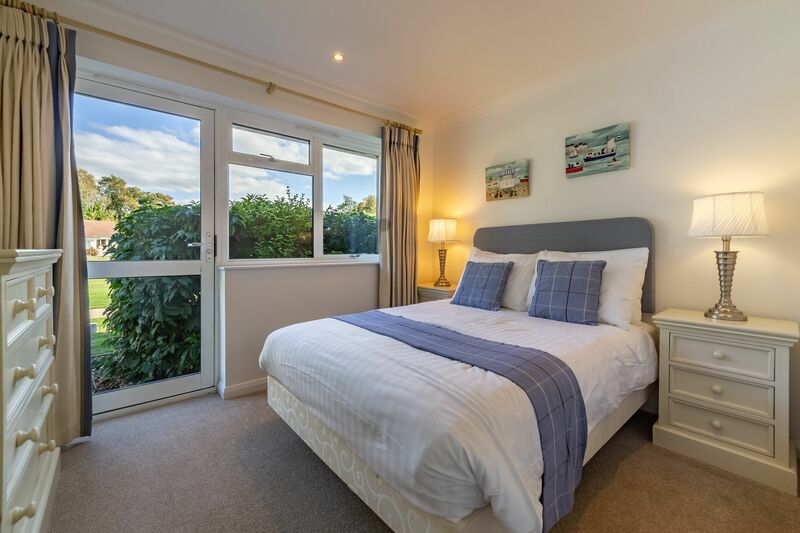 The master bedroom has a double bed and an en-suite shower room, and there are a further two twin bedrooms, along with a family bathroom with a shower over the bath. 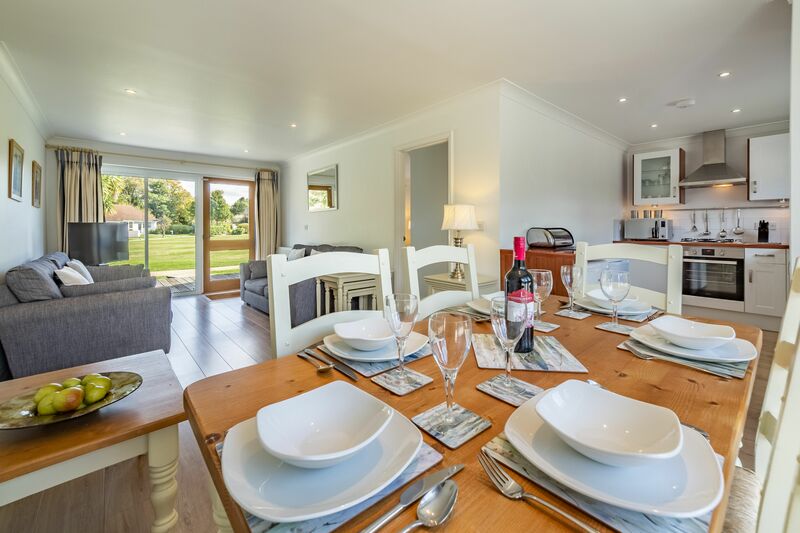 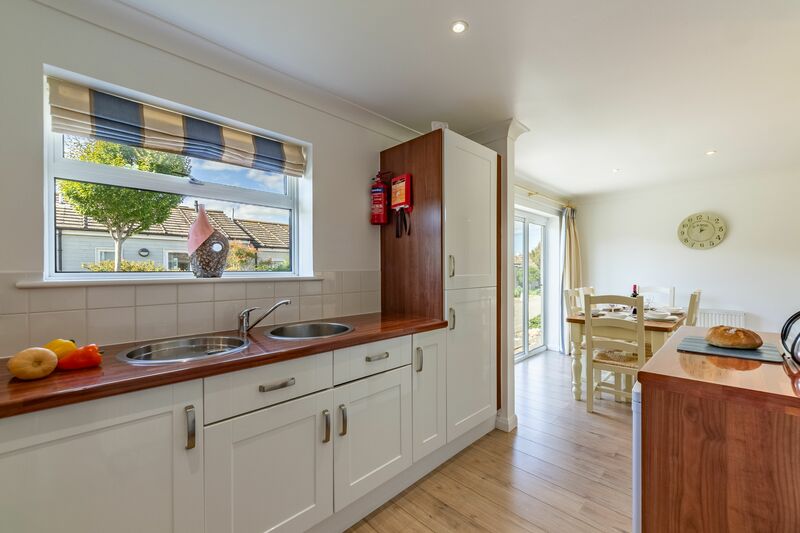 But the heart of the cottage is a light and airy open plan living space that will be the hub of your holiday while you’re here. 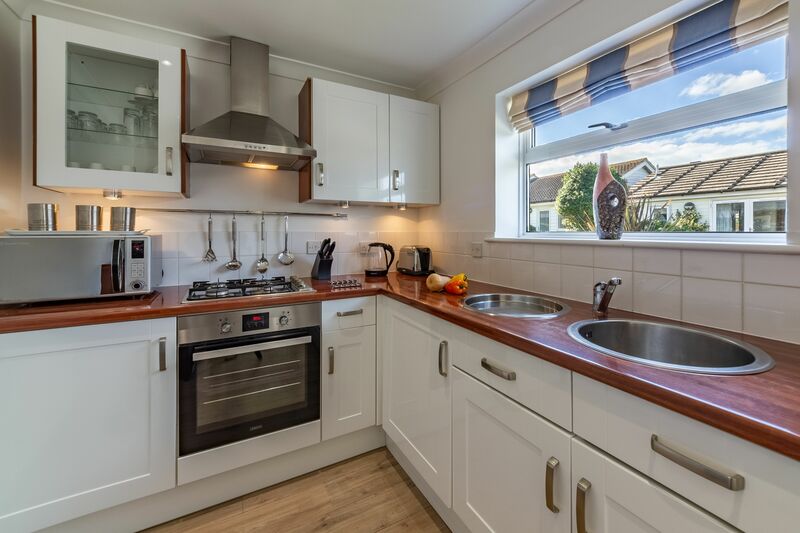 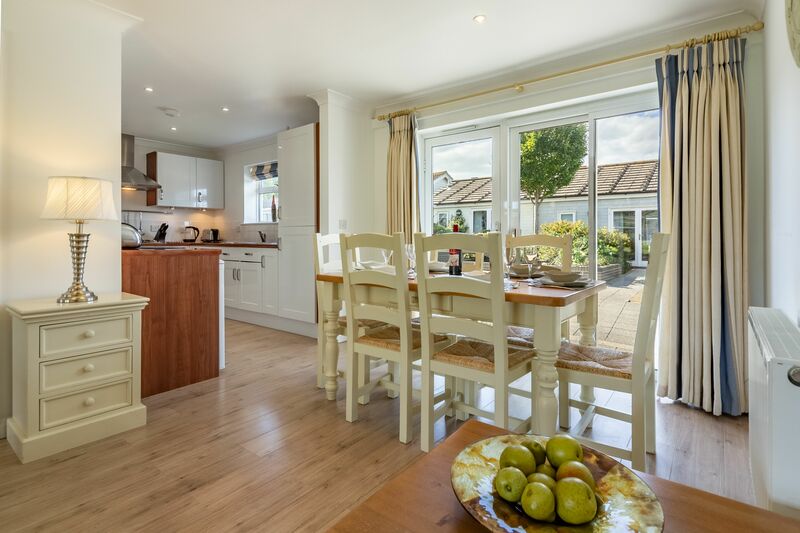 A kitchen area has everything you need to prepare meals, and you can choose to eat either at the dining table or outside on the patio, thanks to the garden furniture that’s provided. 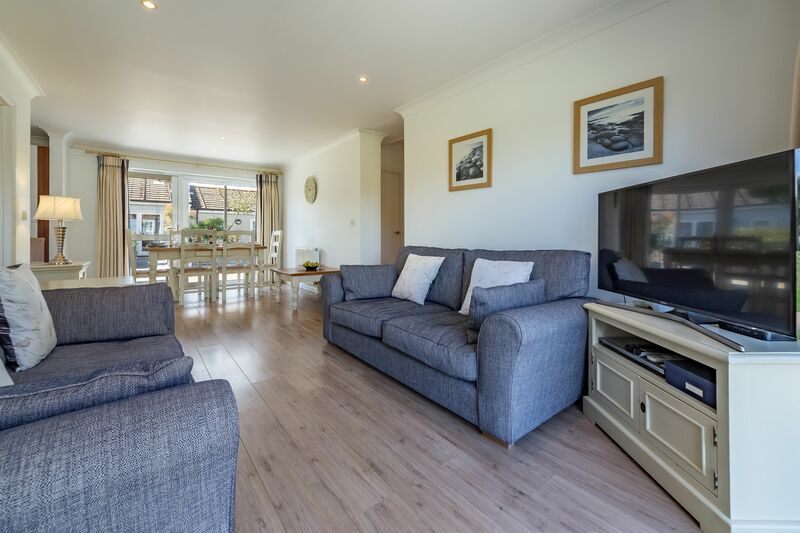 The open plan space also has comfy sofas and a Freeview TV with DVD. 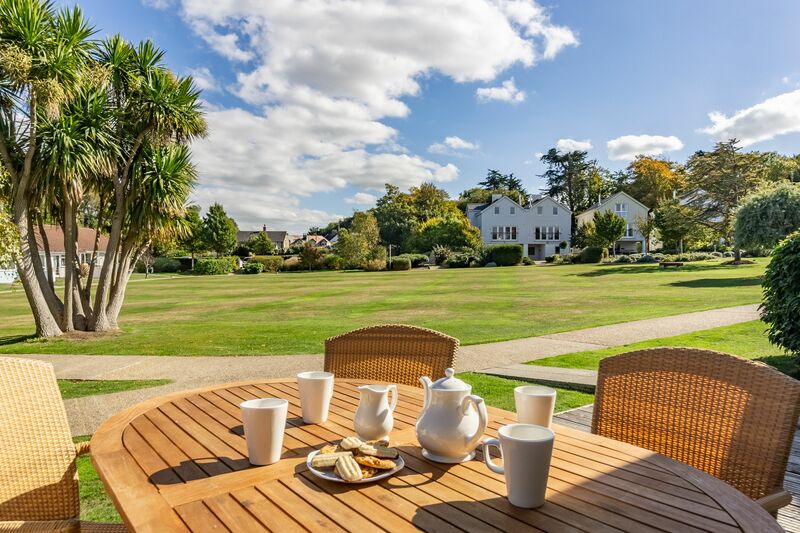 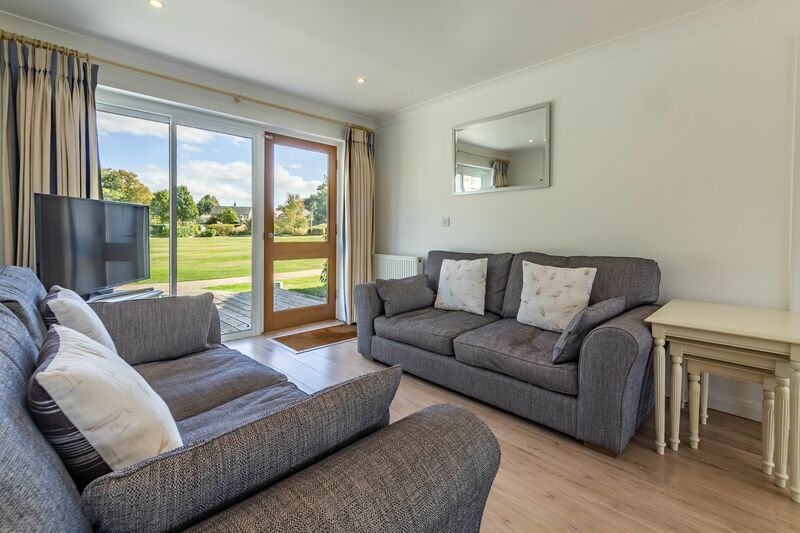 So, you can end the evening snuggled round a favourite show, or perhaps enjoy a nightcap out on the patio looking out onto the communal green beyond.